Not so very long ago, seeking to wrench myself out of the doldrums of the mundane and the desperately ordinary in which I found myself wallowing, I gathered up a few precious and essential possessions—some foodstuffs, books, pen and paper, the wife and the dog—and went to live on a remote isthmus. No roads lead there, unless you count the dirt track just wide enough for two horses to ride side-by-side. We went by boat, as I had mislaid the horse, and soon settled into this wilderness that remained yet a stranger to concrete, electricity, billboards and all the other ostentatious symbols of progress. The place was a veritable Eden and the wife and I were like Adam and Eve—the only two members of humankind amidst the teeming multitude. It was not long, however, before we began to notice something about all this life—it seemed to be accompanied by an awful lot of death. Take, for instance, the wild horses. In one week, three foals were born. One of them we smelled before we found it, high up on a proverbially lonely and windswept hillside, partly decomposed and partly dismembered by pigs. The other two were gambolling about, all zesty and puckish. A few weeks later and another three had been born—of these, two died and one gambolled. So, in all, three alive, three dead. Is a fifty per cent strike rate for nature good or bad? I really don’t know. What I do know is that we were encountering more death in our heavenly paradise than we had ever encountered in the thoughtfully sanitised civilised world. And all this death got me to thinking. And then, as if Providence had that moment deigned to intervene, I happened to come across the wisdom of Silenus. If you haven’t heard it, I should warn you—it’s the kind of thing that might make you choke on your tea, perhaps give a little shudder and maybe look elsewhere out of embarrassment that someone could be so vulgar as to say such a thing. Anyway, here it is, the wisdom of Silenus: The best thing for a man is not to be born, and if already born, to die as soon as possible. Vulgar, indeed, and not, I grant you, the sort of observation you would expect to hear tossed gaily into the air among polite society. But then that is why I do my best to avoid polite society—you so rarely ever hear anything worth hearing. And it seems to me that any observation that makes you choke and shudder and come over all embarrassed that someone could be so vulgar as to say such a thing might just be worth pondering. Of course, the effect it has on us doesn’t require any great deliberation—it makes you choke etcetera and so forth because it runs precisely, completely, utterly and entirely counter to everything we are taught, feel, believe and have been indoctrinated with, which is to say, that life is the most precious gift of any we can receive, that we are blessed, each and every one of us—even if only in a secular fashion—to have our moment in the sun, and that the second to worst crime you can commit against humanity is to contemplate self-murder, while the worst is to do it. 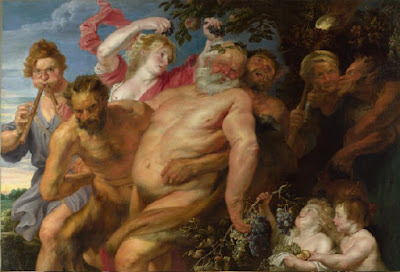 Now, we might say, here’s Silenus, bald and fat with the ears, legs and tail of a horse, inebriated to the point where he can’t stand, mouthing off about what a what a terrible thing life is—why give him the time of day? The trouble is, for one thing, the fact that he himself may not be everyone’s idea of pleasant company is neither here nor there when it comes to his utterances—they live and die on their own merits, to the extent they have any. And, for another, when you do start to ponder it, you realise that while Silenus may have put it in a particularly direct and indecently unclothed way, he’s far from the only person in history to think such a thing. Take, by way of example, Thomas de Quincey. I am, incidentally, well aware that I am moving from a hopeless drunkard to a devoted opium eater, but I will shortly arrive at a more sober instance, so hold your calumny. De Quincey didn’t put it precisely the way Silenus did, but what he said amounts to more or less the same thing—knowing what a thing life actually is, he mused, who would choose to be born, if given the choice. Sacre bleu! Oh the discomfort! Again, you want to look elsewhere, pretend he didn’t say it, but the trouble is, he did, and the fact that he was, so to speak, soaring with the angels at the time doesn’t matter, you’re now left wondering if it’s true. Again, it is so at odds with our veneration for life and our abhorrence for non-existence. Forsooth, such a statement couldn’t be more at odds, in fact, with our view of life, this age we live in that so adores life it’s doing its best to find ways to prolong it to the point where it never ends. De Quincey - happily melancholy. 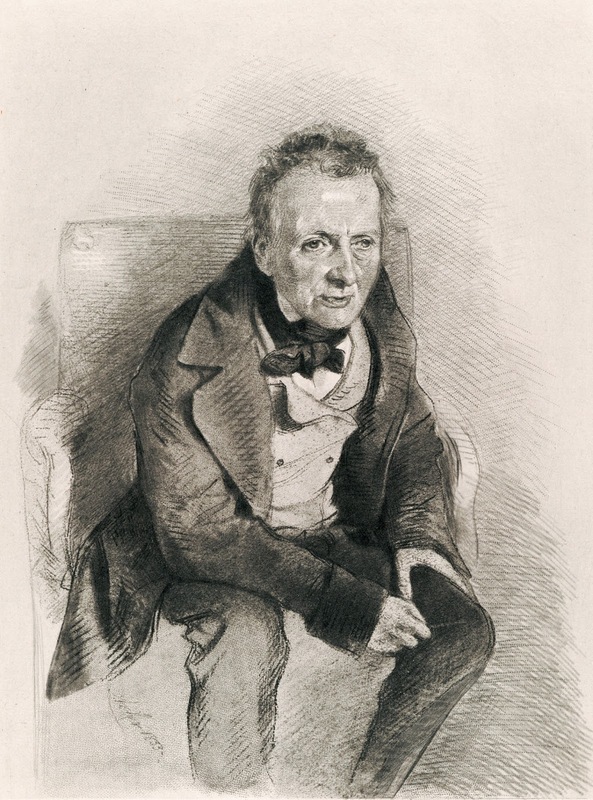 But then it will be said, sniffily, that De Quincey was just another tedious Romantic, and nothing made a Romantic happier than melancholy. Indeed, the best beloved idea of all among the Romantics was that genius and melancholy traipse unhappily through the world hand in hand. The very soul of genius is sadness, for genius sees the world as it is, stripped of the illusions that make it bearable for the rest of us dullards. So they said. And this meant it was entirely fashionable in de Quincey’s day to affect an air of the profoundest melancholy, in the hope that this would convey to anyone who cared that you were, at the same time, a profound genius, and not just very dreary company. That might give us some comfort, after all, who’s going to take seriously the calculated musings of a wasted poser, let alone the ravings of an inebriated satyr? But that’s a sneak’s way out. For one thing, as I said before, do what you will with the messenger—shoot him, string him up by his delicates—the message lives gaily on regardless. For another, one of the greatest of all literary creations, one of the most pious, venerable, holy and sober of all men, gave vent to exactly this idea: ‘Wherefore then,’ inquired Job, ‘hast thou brought me forth out of the womb? Oh that I had given up the ghost, and no eye had seen me!’ And then, really warming to his theme, he added, ‘I should have been as though I had not been; I should have been carried from the womb to the grave’. So now what do you say? Well? Probably, you say you still find the idea repugnant, and in any case, Job only said what he did because he was in especially straitened circumstances at the time. Once things had picked up again, you wouldn’t hear him carrying on in that pitiful way. Perhaps, but then Job is supposed to be, in a certain way, Everyman, faced as he is with no more nor no less than the usual sufferings this world serves up, only in a more distilled form. Isn’t the whole point of Job that life is filled, from top to bottom, with suffering? And yet, and yet, who could live with such a view of life? It’s the view of the gloomy pessimist who elects to see only what is bad in this world and who just needs a bit of cheering up. Pessimism is no way to go about life, we should all be optimists—things are bound to work out in the end, however hard they might seem for a time. The trouble I have with this view, tempting as it might be—and it surely does tempt us, like the fruit of that tree—is that both pessimism and optimism, as philosophies of life, are equally absurd, equally vacuous, it seems to me. If you are unfortunate enough to be travelling in an aeroplane when the wings happen to fall off, you wouldn’t criticise the passenger who suggested things were probably going to come to a sticky end. On the other hand, you would label an idiot anyone who suggested there was no need to worry as things were bound to work out for the best. In any situation, all you can do is size things up as realistically as possible, which is something neither the pessimists nor the optimists do, with their predetermined attitude to everything that happens or might happen, regardless of what is actually happening. Which brings us back to Silenus and de Quincey and Job. And, I might add, Pliny the Elder, who observed that, with all the suffering there is in this world, the best gift God ever gave us was the power to take our own lives. And Buddha, incidentally, for whom life was, in short, nothing but suffering and, while I’m about it, world-weary Hamlet, for whom death was ‘a consummation devoutly to be wished’. And I could, were I so inclined to make the effort, multiply by the dozens examples of thinkers through the ages who had thought along these lines—‘The universal wisdom of the world long ago concluded that life is mainly a curse’ (H.L. Mencken). But then the point isn’t to establish the truth of this view by appealing to authorities, and lots of them—the point is to think for yourself and see what conclusion you reach—or are willing to reach. But still you resist, still you won’t concede that, all in all, this world is just a great vale of tears, a vast theatre of suffering, a devil’s playground in which, if everything were weighed in the balance, we would see that by far and away the bad leaves the good sniffling in the dirt. Fair enough, you may think what you want. But no, you cry, it is I who am not seeing truly, it is I who am now guilty of adopting the blinkered view of the pessimist. It is true to say that for much of human history pain won over pleasure, but we are blessed to live in another age altogether. Ours is the first age in humankind’s lifetime in which we can expect pleasure to predominate over pain. We have science and medicine and technology and, most of all, reason all on our side. We are masters of our own destinies, we are no longer the tragic playthings of fate—just look at how much we’re all enjoying ourselves! Well, this is indeed a pleasant view of the world, at least, for that minuscule proportion of the world’s populace that enjoys in any meaningful way the benefits of progress of a technological kind. But let us examine this secular blessing a little more closely. What do our long lives of rude good health, liberated from want and disease and penury and war, what do they bestow on us? We spend at least a third of our lives asleep, a good twenty to thirty years of unconsciousness in an average life (perhaps some would rate these the best years of their lives). We spend that much, perhaps a little less if we live long enough, either being schooled or worked. So, at most, we get a third of our lives to do as we wish. But, of course, that’s not true at all, most of us have any number of things we have to do besides sleeping and working. So, perhaps a quarter, a tenth, a twentieth of the time we spend alive is our own? And how do we respond to the precious little time we have? Most do their best to fill it up with mind-numbing, reality-obliterating trivialities, without which they would find their small share of life intolerably boring—and disturbing. 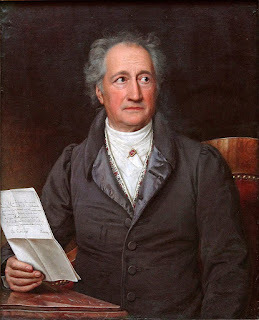 Goethe - trying to keep busy. In other words, it’s just as Pascal said—‘If our condition were truly happy, we should not have to divert ourselves from thinking about it’. And it’s also just as Goethe said—‘Most spend the greater part of their time working in order to live, and what bit of freedom they are left with makes them so anxious they strive by all available means to be rid of it’. And, for good measure, it’s just as Mencken said—people ‘work simply in order to escape the depressing agony of contemplating life . . . their work, like their play, is a mumbo-jumbo that serves them by permitting them to escape from reality’. Now, of course, such a view offends our sense of the dignity of humankind, not to mention life itself, but just because we don’t like the sound of something, that doesn’t make it an untruth. If we would be so kind as to come down from our high-horses for a moment to consider this proposition, we might just have to accept it as an accurate observation of the human condition, a logical conclusion based on the evidence. But then, I suppose, as Camus observed, however easy it is to be logical, it is ‘almost impossible to be logical to the bitter end’. Look at it however you will, then, life is, at best, no picnic, say whatever you wish to the contrary. But here’s the thing that intrigues me (everything above is merely obvious, rather than intriguing)—that in spite of all that life dishes up, people just keep on living. And not only that, they keep on bringing new life into the world so it, too, can experience what life dishes up. Now isn’t that something! That’s what intrigues me, that come what may, despite everything, however dreadful, dreary, painful, boring, wearying, disquieting, disappointing and generally unpleasant life might become, we just keep on living. This is the intriguing truth, this is the astonishing fact, that for the most part people really are very attached to life! Even when life seems entirely unattached to them. Who among us, if told we could utter a dark incantation that in an instant would make us cease to exist, would utter such a thing? Even in the worst of circumstances, people will insist on going on living. Even in the darkest depths of the worst misery, people will insist on drawing breath and their hearts will insist on beating. ‘Despite the sight of all the wretchednesses which afflict us and hold us by the throat, we have an instinct which we cannot repress, which lifts us up’ (Pascal). Again, isn’t that something! In other words, come what may, the so-called wisdom of Silenus will always offend our sensibilities, it will always make us choke and shudder and come over all embarrassed to be privy to something so vulgar. But not, perhaps, for the reasons you think. Not, that is, because what Silenus says isn’t reasonable or rational. If life truly is mostly suffering of one kind or another, if the bad invariably outweighs the good, then the only rational thing to do would be to end it, especially if we’ve given up all hope of some kind of recompense in the hereafter. No one would think of keeping a business going that was constantly running at a loss. But, luckily or unluckily and contrary to what most people seem to think, humankind is not even vaguely rational. We’ve awarded ourselves a laurel we have no right to—when it comes to the reasons for the things we do, we’re no more rational than a slug. That we call them ‘reasons’ is just part of the fantasy we’ve sold ourselves. One plus one equals two. Quod semper. Quod ubique. Quod ad omnibus. At all times, at all places, for all people. That is what it is to be rational. To be rational is to be the same, unvarying, predictable, consistent. All things humans are not. Reason is nothing more than a convenient tool inadvertently bestowed on us by nature. Like hammers and screwdrivers, it lets us do things we might not otherwise be able to do, such as fly to the moon or wipe out whole cities with a single bang. But reason doesn’t determine what we want, like, wish for and desire. It has no part to play in making each of us who we are as individually distinct beings—if it did, we would all be the same. And—heaven be praised—we’re not. But not only are we not rational. Worse (or better) than that, we’re imbued with a singular power—unknowable, undefinable, irresistible—that cracks its whip and drives us on to live regardless of what we might think, rationally or otherwise, of our predicament. The will to live, that indomitable, unflinching and entirely dumb force that has no regard for our circumstances and whether or not we’re actually enjoying the fact of our existence. That’s the truth, reader, that’s the reality of our being—it’s a nice idea, I suppose, that each of us is driving our own chariot, pulling the reins this way and that according to our carefully laid designs, but in reality it’s an illusion. We’re not rational and we can’t help but go on living. Let me illustrate the point. The lapsed-bourgeois farmer-writer Moritz Thomsen tells the story of a tribe living on the upper reaches of the Amazon river near Peru—having seen the writing on the wall, the inevitable and not especially enticing end towards which their quaint way of life was headed as civilisation and progress came a-calling, they began to kill all their children when they were born. A real life (and death) instance of the wisdom of Silenus! But here’s the thing. I don’t believe it’s true. And you, reader, I suspect you don’t believe it, either. And not just because it’s too dreadful to contemplate. There’s a deeper reason, which is this—it just seems too unhuman. To act with a rationality so chilling and detached, the rationality of Silenus, surely no one who still retained a trace of humanity could do that. To act so sanely would surely drive you insane. Or, to turn it on its head, you’d have to be insane to act that sanely. So there you have it, ladies and gentlemen. The wisdom of Silenus is hardly wisdom at all—it topples over like a drunkard in the face of the unbending will to life that permeates all of existence and that laughs uproariously at the absurd notion that humankind is rational. It is, as Nietzsche said, ‘an eternal phenomenon: the voracious will always finds a way to keep its creations alive and perpetuate their existence, by casting an illusion over things’. And that’s its secret, the illusion it casts, the spell it weaves, the falsehood it plies so persuasively as truth. We are all of us convinced that, come what may, it is better to live than not live, better to have been born than never to have existed. Give us hell on earth and we’ll still insist on having our time there. That’s what it is to be human—gloriously, stubbornly, irrationally, unwisely, committed to being.